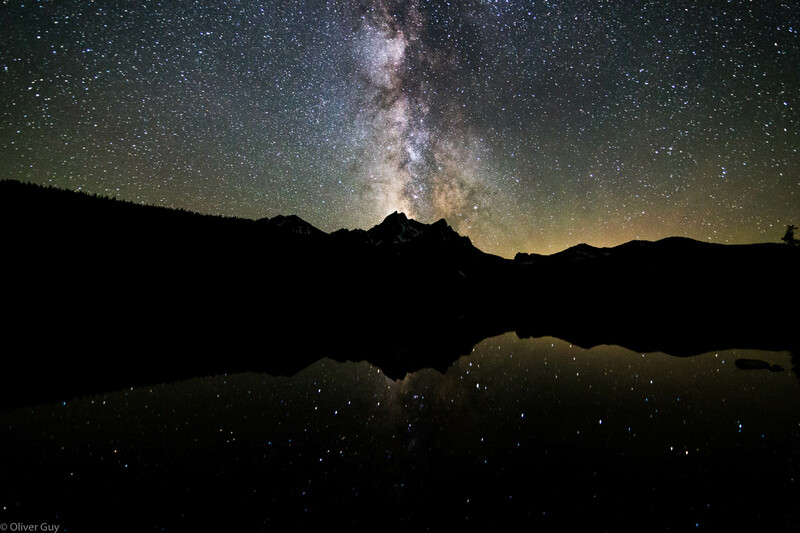 The Central Idaho Dark Sky Reserve (CIDSR) is located in central Idaho and encompasses the cities of Sun Valley, Ketchum, and Stanley. Shopping, restaurants, accommodations, and amazing night sky viewing access can be found within and around all three cities. State Highways 75 and 21 provide easy access to and through the CIDSR. The CIDSR may seem like a remote destination but getting here is easier than you might think. The Friedman Memorial Airport is located only twelve miles from the Reserve and the Ketchum/Sun Valley area. Boise, the capital of Idaho, is just a 2.5-hour drive from the Reserve. Boise offers a larger airport with a wider selection of airlines and flights. The fact that all three of the main routes into the CIDSR are scenic byways gives an indication of the stunning landscapes found in central Idaho. The three scenic byways meet in the city of Stanley in the heart of the Reserve. Driving to the CIDSR is popular amongst visitors and residents alike due to the typically friendly road conditions and relative ease of navigating. Because the reserve is over 900,000 acres you have several options on how to drive to the CIDSR. The Sawtooth Scenic Byway/ID 75 provides the main access route to the Reserve and to Sun Valley/ Ketchum. North of Ketchum the highway continues over Galena Summit into Sawtooth Valley and to Stanley. The Ponderosa Pine Scenic Byway/ID 21 provides access from Boise to Stanley. Fly directly into Boise (BOI), roughly 150 miles and a scenic 2.5 to 3 hour drive to either the north end of the Reserve in Stanley or the southern end in Sun Valley/Ketchum. Fly into Twin Falls Airport (TWF), 90 miles south of Sun Valley and cruise the hour and a half hour drive up. Fly into Idaho Falls (IDA), 150 miles east of Sun Valley . Drive 2.5 hours, passing through the lava fields of Crater’s of the Moon National Park. For current road conditions throughout Idaho, click here. Fly non-stop into Sun Valley from 7 major cities. Friedman Memorial Airport (SUN) is located a mere 12 miles south of the CIDSR in Hailey, ID. **Flying into Boise, Twin Falls, Idaho Falls, and even Salt Lake City are great alternatives to flying directly into Sun Valley. Twice-daily shuttles from Boise are available on the Sun Valley Express and take visitors directly to Sun Valley. The Salt Lake City airport is just 4.5 hours away from Sun Valley. Enterprise (208)578-1156 – down the road from the airport at 1220 Airport Way. Call for pickups and reservations. Mountain Rides is the full-service public transportation provider for Blaine County Idaho, which includes the communities of Sun Valley, Ketchum, Hailey, Bellevue, and Carey. There are 2 main taxi companies operating out of the Wood River Valley. Reservations ahead of time are highly recommended as service times vary. Uber is also another option in the Valley. Late night driver availability can vary. Estimated rates can be found here. For more information on how to get here and how to get around please check out the Visit Sun Valley website.